110 Commercial Real Estate and Properties in Northern Wa are listed in 6 categories. We have 36 Industrial Warehouses for Sale & Lease , 34 Retail Shops for Sale & Lease , 26 Offices for Sale & Lease , 23 Development Lands for Sale & Lease , 1 Showrooms for Sale & Lease and 1 Hotels and Leisure for Sale & Lease . Offered for sale is this large high profile development opportunity. 10,300 sqm (approx.) 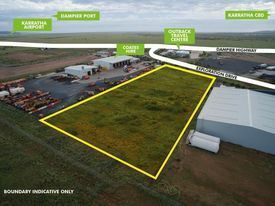 Be part of the Karratha largest Industrial Estate Surplus to requirement CBRE Ray White are pleased to offer for sale this large high profile development opportunity. Strategically located between Dampier Port and the North West Coastal Highway in the recently released Gap Ridge Industrial Estate, Gap Ridge is quickly building the reputation as the place to do business in the Pilbara. Many of the heavy hitters in the Iron Ore and Oil Gas Industry have already relocated to the estate such as Tutt Bryant, Coates Hire, Chevron, Toll and BP Outback travel Centre. Offered for sale is this large Commercial lot, 6 Morse Court. 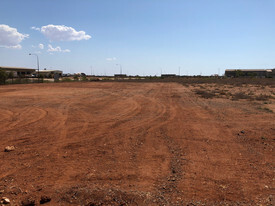 The lot is centrally located in the Karratha town site. 3,376 sqm Partially Fenced Zoned City Centre Precinct 2 Suitable for Shops Offices Maximum four story's Previous planning approvals for multi level mixed use development with short stay apartments. Previous planning approval for multi storey hotel and restaurant Subdivision approval previously given to subdivide into three lots. For more information or an inspection contact Shane Smith today! 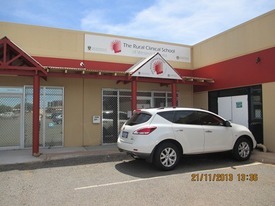 Offered For Sale is this solid tilt panel concrete office complex on the fringe of the Karratha City CBD. Unit 2: 91.7m2 Floor Area $275,000 + GST Leased Unit 3: 100m2 Floor Area $300,000 + GST Leased Unit 4: 100m2 Floor Area $300,000 + GST Leased Unit 5: 100m2 Floor Area $300,000 + GST Leased Unit 6: 100m2 Floor Area $300,000 + GST Lease under negotiation Unit 7: 196m2 Floor Area $550,000 + GST Leased For more information or to arrange an inspection, call Shane Smith on 0419 912 622 today! 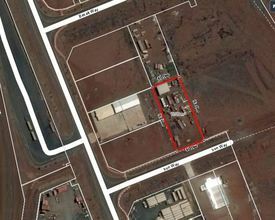 This large commercial block is available For Lease and is located on one for the few road train accessible roads in the Karratha LIA. Horse shoe style access for ease of use for large vehicles. Air conditioned offices Workshop 2 large dome style sheds Contact Shane Smith today to view! Offered for Sale is this unique opportunity to purchase a warehouse and well appointed office in the city centre. Land Area 373 sqm Building Area 217 sqm Asphalt Carpark Great exposure For more information, or to book a private inspection, call Shane Smith on 0419 912 622 today! Offered For Sale is this fully fitted out café, located in the Dampier Shopping Centre. The owner is ready to retire, the business is not for sale, the premises is for sale on walk in walk out basis. 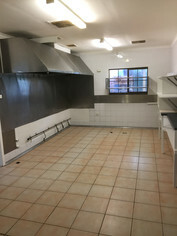 106m2 Floor Area Walk in fridge freezer Fully furnished External entrance allows you to open at anytime IGA and Bottleshop Express as anchor tenants For more information or to arrange an inspection, call Shane Smith on 0419 912 622 today! Offered for sale is this prime industrial complex located on the main arterial road into the Karratha LIA (Coolawanyah Road). Approx 2500m2 under roof of improvements 25,800m2 Hardstand Fully fenced 16,666m2 Hardstand and approx. 866m2 under roof Large leased dangerous goods store and building For more information or an inspection contact Shane Smith today. Offered for sale is this large industrial yard located in the Gap Ridge Industrial Estate. Gap Ridge is strategically located between Dampier Port and the North West Coastal Highway. 3720m2 Hardstand Priced to Sell For more information or to book an inspection please contact Shane Smith! Brand new to market! Are you a business who has workers that need accommodation? Are you a business that does not want to pay the high rental prices? As it is impacting your bottom line! If you are answer yes then this property is for you. The property features a home, 3 bathrooms and office complex ideal for worker accommodation that could comfortably house 6 or more workers and excellent office set up for running your business plus a 15 by 10mtr shed 4.5 mtr height with dual roller doors and other storage areas that make this an ideal work centre for any one providing trades services to the booming mining industry. The property has uninterrupted access from Leehey Street and also the rear of the property., drive in and drive through.This property is priced to sell and is available for moving in on settlement do not wait too long this property is going to be a popular choice for established business one looking at establishing in a booming market or an investor ready to buy and lease at an excellent return. For inspection contact Peter Dunning 0419928927. A rare opportunity exists to purchase a piece of the iconic Damper Super Market. 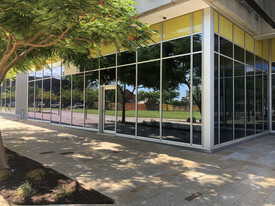 An ideal location for your office or retail needs. 124m2 Floor Area Located inside the supermarket Close to the IGA For more information or to arrange a viewing call Shane Smith today! 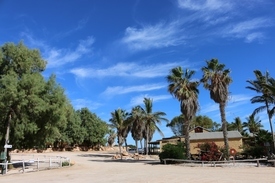 Offered for sale is this large rural property located between Karratha and Dampier. Very few opportunities exist around Karratha to own such a large piece of rural property. Imagine the endless uses, riding horses or bikes, sow crops or just enjoy the tranquillity of being nowhere near civilisation and neighbours but still only minutes to town. The property consists of a land area of 15.6 Ha or 38.54 Acres. The homestead is 1000m2 under the main roof, ideal for our cyclonic prone part of the coast. There is also an approved camp. Details will be supplied to interested parties on request. For more information or an inspection call Shane Smith today! Offered for short or long term leasing is this rare to the market opportunity. 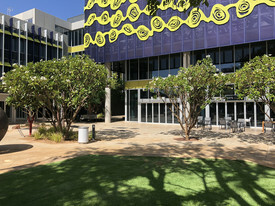 bull;Offices from 12m2 through to 96m2 bull;Rent at $650 per m2 including power and water and variable outgoings bull;Catering for meetings can be negotiated For more information or an inspection contact Shane Smith today. Huge Industrial Complex $9,000 pm + GST + Outgoin.. Offered for lease is this large Industrial complex comprising of two warehouses. #61485; Warehouse 1 498m2 #61485; Office 109m2 #61485; Verandah 36m2 #61485; Warehouse 2 498m2 #61485; Office 109m2 #61485; Verandah 36m2 #61485; Yard size 5282m2 For more information or an inspection give Shane Smith a call today!